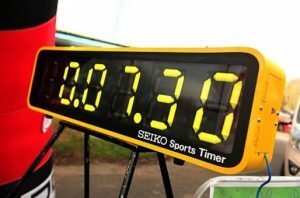 The race clock is available with a stand or roof bars for a vehicle. 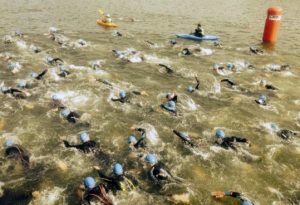 Make your start and finish something special with a choice of our gantries. Constant blow or sealed gantries available dependant on power requirements. Make your transition stand out from all the others with our branded transition gantries. 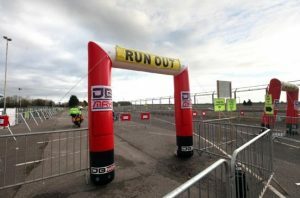 3 available for hire with Velcro attachments on both sides and showing swim in swim out, bike in, bike out, run out and run in. 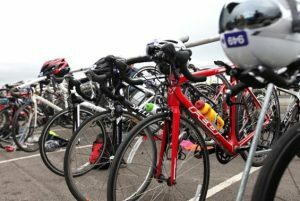 We are able to supply you with bike racking for your event and can supply for up to 1400 competitors. We are able to supply you with quality bespoke medals for your event. 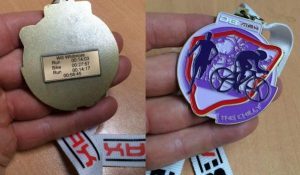 Optional iTab allows competitors to personalise their medals with their name and time. 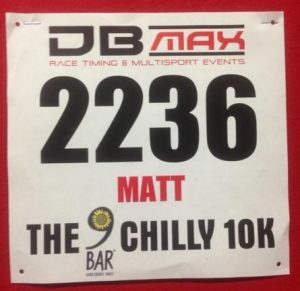 Let us help make your race numbers stand out from the crowd with our bespoke branded bibs. 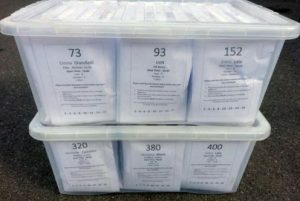 They can include the event name, competitors name, sponsors and tear of baggage tag. 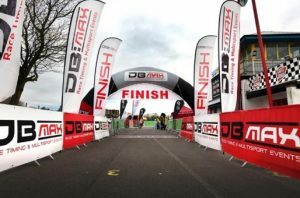 We are able to provide all your race fulfilment with branded race envelopes, online entry and much more…! 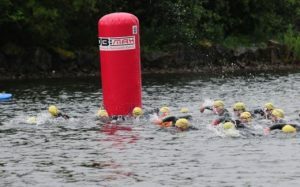 For open water swims we are able to supply easy to sight swim buoys, weights and pumps. The buoys are 2 metres high and are suitable for use in lakes, rivers and the sea. 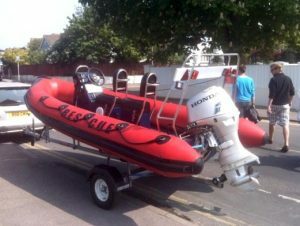 We have a Safety Boat available for hire with trailer and winch. Use of this depends on the user holding the appropriate safety boat qualifications. To assist in the water safety of your event we have a number of kayaks and surfboards available for use. 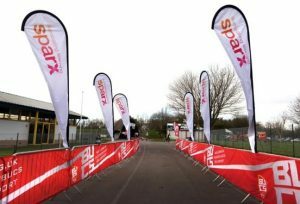 Through our partners we can provide you with crowd control barriers, Harris fencing or portable toilets for your event. Just let us know what you need…! Whatever you need we can help with a range of gazebo’s and marquees (April to October for Marquees only). Do you need signs for your event? 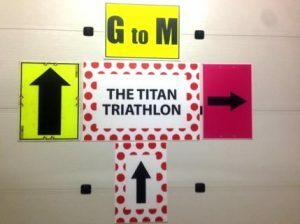 We can provide directional arrows, caution signs or bespoke branding for your event. 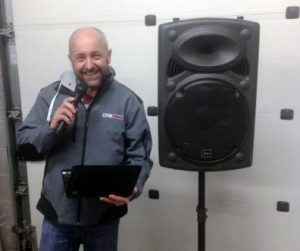 We can provide your event with PA’s and wireless Microphones and if you have a commentator a commentary laptop to give every competitor a shout out…! 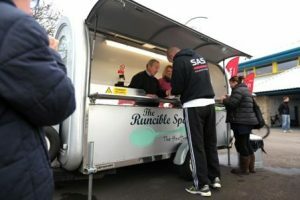 We can provide you with catering services at your event with our cater pod serving top quality coffee and much much more…! 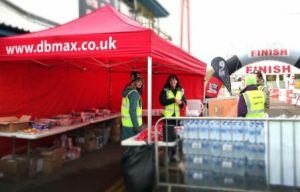 On top of this we can also provide your event with water butts, radios, tables, loud haler, first aid and much more…! Please click here to view our timing services.